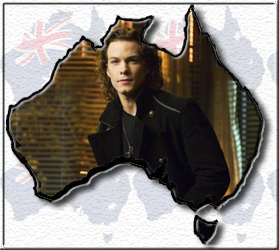 BLOOD TIES PREMIERES DOWN UNDER! Our Australian friends now have Blood Ties. We celebrate with you! This picture was made by the wonderful Kady for EBT. Please do not use elsewhere. Welcome fellow Aussies! Hope you enjoyed the Blood Ties premiere on FOX8. If you’re not hooked on Henry already you soon will be! Come and chat to us here with fellow Blood Ties fans. We’re a nice bunch of people.. I promise! Welcome to all the luck Australian viewers! Hey ladies, just stopping by quick to say hi. Also wanted to tell Marty, I need your address honey to send you some books. Vitch said you wanted to read the Riley Jenson series and I have the whole thing and am ready to pass it on. You can either get my email from her or send me a message on myspace or something. Ciao for now beautys!! !